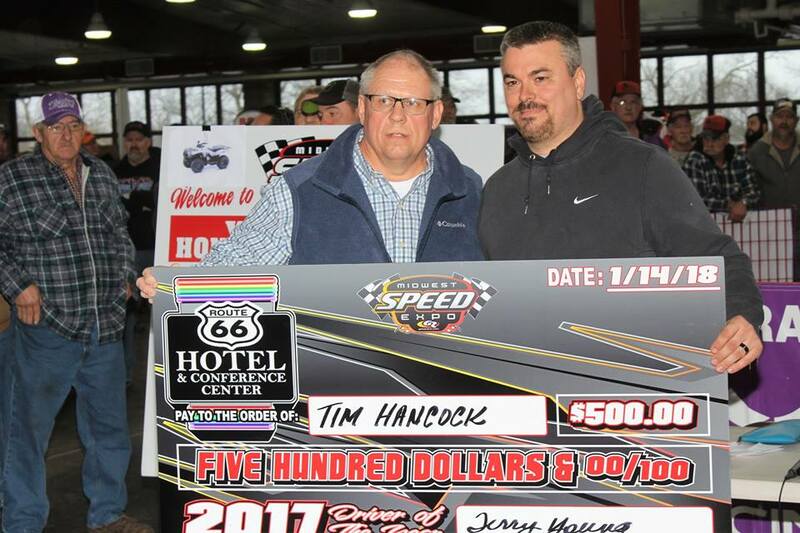 We honored the 2017 Driver of the Year on Sunday January 14, 2018 at the 15th Annual Midwest Speed Expo. We actually had co-honorees this year! Brandon Sheppard from Berlin, Illinois a second time winner of this honor had 43 Craftsman World of Outlaw starts in the 2017 season, winning the Championship with 18 wins, 37 Top 5 and 41 Top 10 finishes. Tim Hancock had 19 A-Main wins in 2017 and won the National UMP Pro-Modified Championship for the second consecutive year! Congratulations to both of these young men on this honor for an outstanding season! Each of them were awarded with a check for $500.00! Brandon was not able to attend as he was racing in Arizona and in fact won the A-Main there Sunday night! 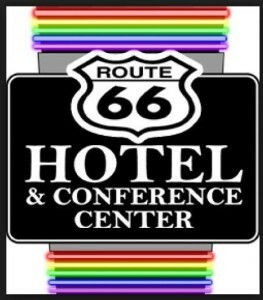 Thanks to Route 66 Hotel & Conference center for sponsoring one of the awards.